More and more consumers are doing their used car research online before they go to an actual dealership showroom. What this means, most basically, is that your dealership needs to be discoverable in the search engine algorithms. There are many components to this, and one of the key ones is on-page SEO. So what can independent auto dealerships do today to make their websites more likely to rank well in Google searches—positioning themselves to be found by interested, local buyers? Here is a checklist that can get you started, straight from the digital marketing experts at Get My Auto. Title tag. Your title tag is the actual title of the page, as it appears in the Google search algorithms; it’s important to have one of your SEO keywords included in the title tag, as organically as possible. Meta description. The meta description tells Google what your site is about, and it also provides a summary to search engine users. Make sure yours is 160 characters or less, includes a keyword, and ends in a call to action. URL. The URL itself needs to be SEO-friendly; always shoot for something short and descriptive, not a random string of letters or numbers. Something like www.mydealership.com/cars/honda is a good example. Headings. Section subheadings—also called H1, H2, and H3 tags—should be bold, or in a larger font than your other text; these are used to break your content into sections, and they are also good places to include keywords. Body content. Your written content should include a few judiciously placed, organic keywords—including one within your first paragraph or so, if at all possible. Responsive design. It’s imperative that your site be friendly and accommodating to mobile users; that’s what responsive design is really about. Rich content. Videos and graphics go a long way toward keeping people on your site—and that helps with your rankings. Links. If possible, include internal links to relevant pages within your site. Also include external links to good, relevant resources whenever you can. Contact information. Make sure each page of your dealership website includes your dealership’s name, phone number, and address. This is vital for local search listings. Call to action. End your online content by inviting the reader to take the next step—calling you on the phone, or simply visiting your dealership. With this checklist, you’re well on your way to an easily discoverable dealership website—but if you need help implementing any of these strategies, we invite you to call us. 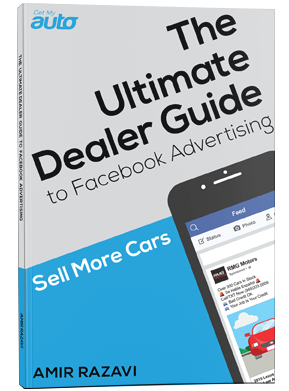 Reach out to the dealership marketing experts at Get My Auto today!